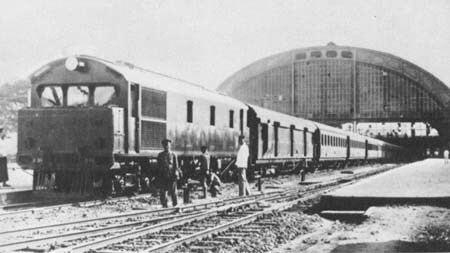 The Imperial Mail Bombay - Calcutta Howrah included a van with the Burma mail, which was slipped when passing Hooghly and then was conveyed by an own locomotive to Diamond Harbour, where the British India steamers started. They connected at Rangoon with Burma Railways' mail on meter gauge to Mandalay. Already in 1877 a line from Rangoon to Prome, a harbor of the Irrawaddy river steamers, had been opened. Before WWI the Mandalay mail consisted of wooden compartment cars, 1st class (with sleeping berths) white, 3rd class yellow, hauled by red ten wheelers, from 1932 by YC and later YB Pacifics, interrupted c. 1950 - 1957. From 1958 diesels from Alsthom (orange/red) hauled the train which then consisted of new cars, also sleepers and diners, later mainly of coaches 1st 2nd class (maroon/cream). The planned extension to Kunming in China had reached only Myitkina. For supplying Chiang kai-shek's troops the Burma Road was built and 100.000 workers had to die. Then the Japanese occupiers ordered to build the connection Thailand - Burma, the line of the River Kwai bridge, completed and interrupted. Innumerable prisoners of war had died in vain. 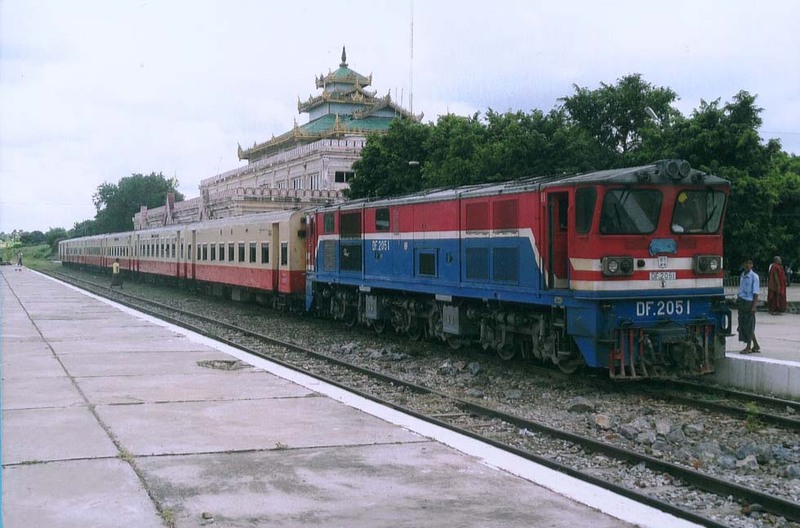 Now the timetable registers for Myanmar mainly the trains from Yangon (Rangoon) to Bagan and to Mandalay and trains Mandalay – Myitkyna. 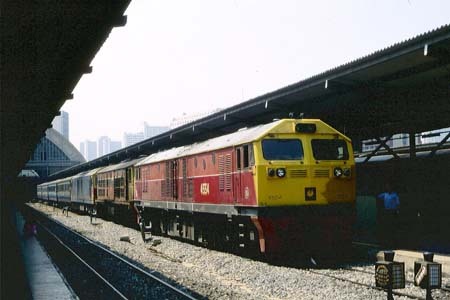 Second-hand rolling stock was imported from China, formerly running on the Kunming – He Kou line. 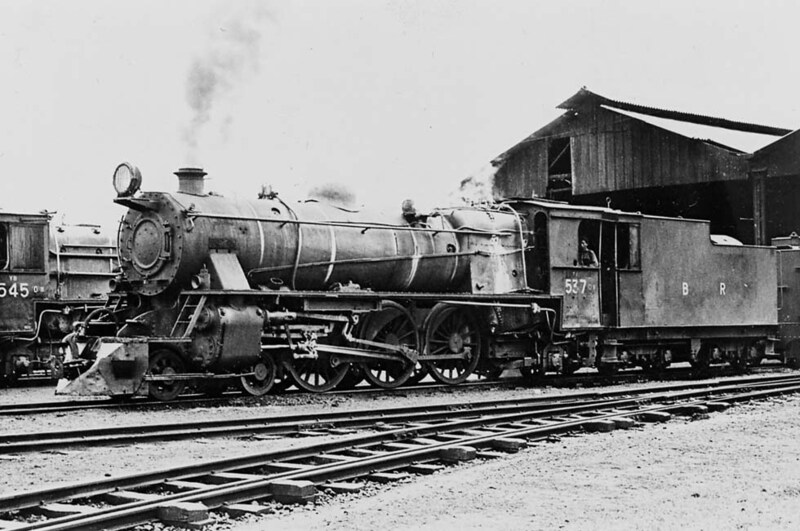 The Royal State Railway of Thailand (Siam) reached Phitsanulok in the north of the country on standard gauge in 1908. The Southern Railway, a British enterprise, connected Thailand with Malaya in 1917. As it used meter gauge, like the railways in Burma, Malaya and Indochina, Thailand changed completely to meter gauge after WWI. 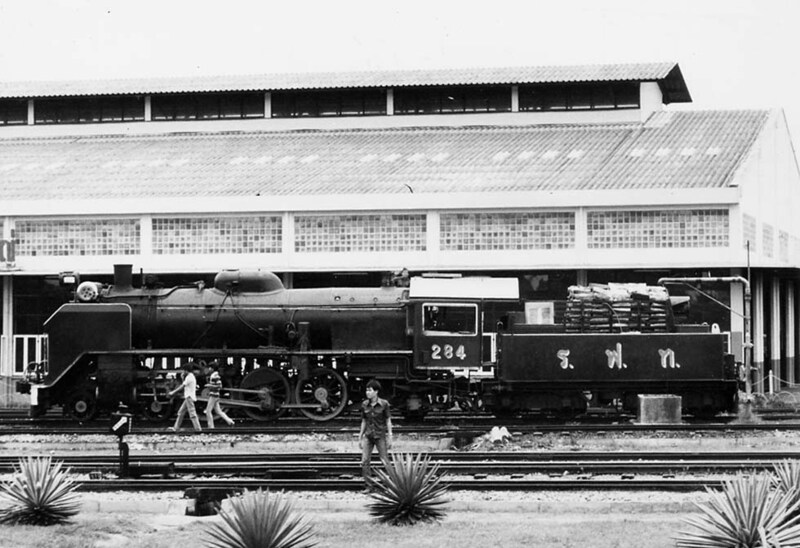 A once-weekly International Express from Bangkok to the southern border is reported from 1922 or 23, hauled by Baldwin Pacifics. 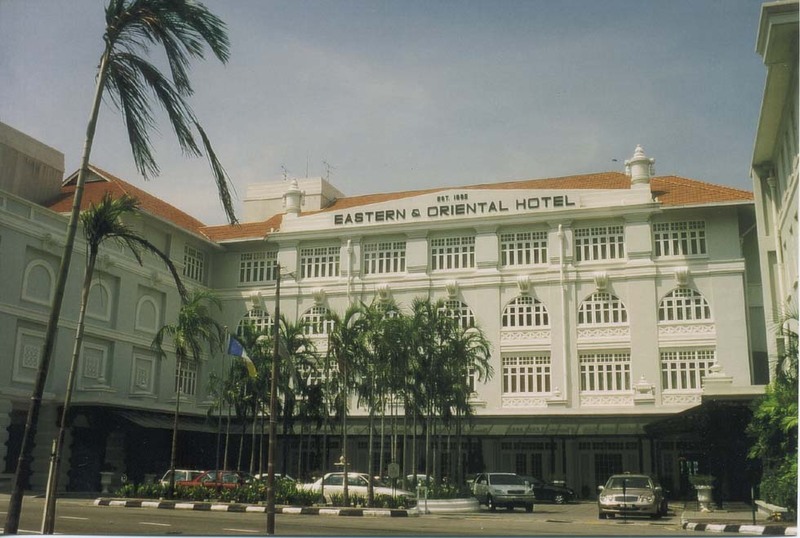 In 1924 it was extended to Prai, where passengers could take a Malayan train to Kuala Lumpur or the ferry boat to Penang island and from there the P&O steamer to Europe. The twice-weekly international train was described as a de-Luxe, consisting of sleepers and a diner, but a report from 1937 showed the Penang Express with 13 cars, including sleepers, diner and coaches - diesel-hauled by Frichs engines from Denmark! After interruption due to WWII the International Express restarted in 1954, still with the brown wooden cars, always diesel hauled. 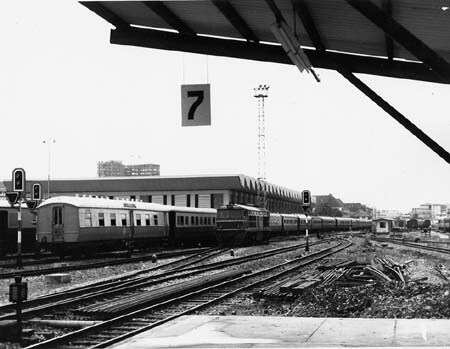 A comfortable Malaysian sleeper to Kuala Lumpur with only six compartments and two bathrooms was added in 1962. Still in the 21st century the International Express continued running from Bangkok to Butterworth, but the sleeper to Kuala Lumpur has disappeared long ago. 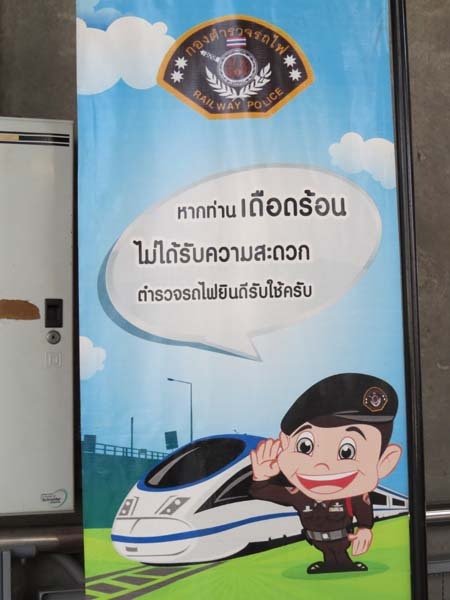 Within Thailand a network of expresses, now with sleeping-cars bought from Japan, and faster diesel railcars maintained service. And in 2012 talks in Thailand of developing a national high-speed railway system were reported. 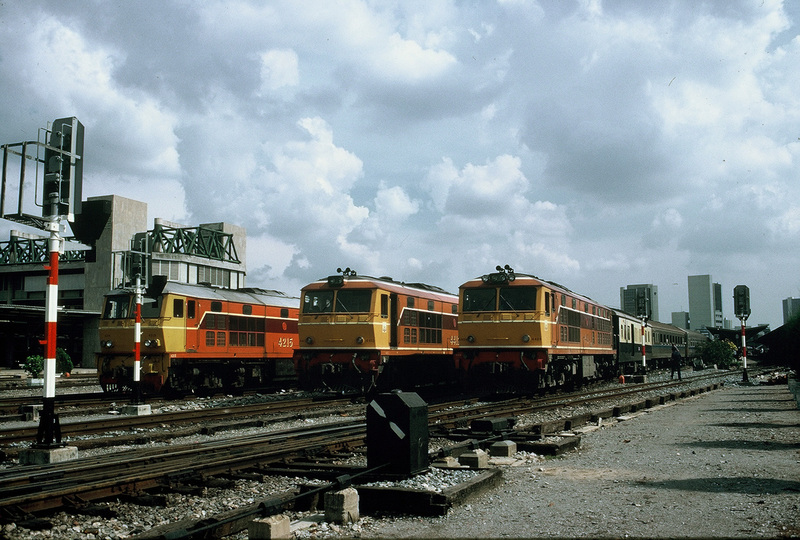 FMSR/KTM: various Pacific classes, from 1957 diesel CoCo English Electric, International Express from 1965/68 BB from Japan, from 1972 CoCo English Electric. Colors: steam locomotives black/polished steel, diesel green, dark-red, then silver. Thailand: Tenwheelers, then Pacifics from Baldwin, possibly Batignolles and Hanomag, from 1941 and 49 Pacifics from Japan, but the International Express in the '30s was dieselized with a 2Do2 type from Frichs 1931/32! In 1958/62 followed Hitachi, then General Electric, Henschel, Krupp and Alsthom diesels. Colors: steam locomotives black, black/green, diesels with various color schemes. Van, 3rd class & guard, 3rd class, 1st class, restaurant (buffet? 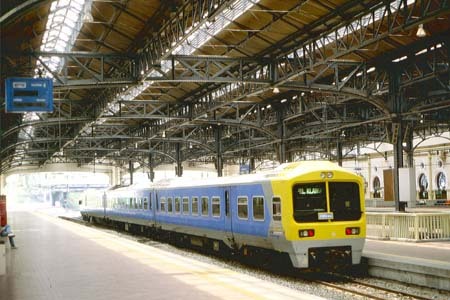 ), 2nd class & luggage. All cars Rod Fai Thai, dark-red/beige, except the KTM sleeper with 6 compartments and 2 bathrooms, painted blue/cream. Traction: Rod Fai Thai class 4100 diesel (CoCo, Alsthom) Bangkok - Padang Besar, Malaysian class 22 (CoCo, English Electric) Padang Besar - Butterworth and North Star to Kuala Lumpur. Diesel 4100, van Bangkok - Butterworth, 7 2nd class (sections), 1 dining-car, 1 2nd class sections Bangkok - Hatyai, 1 2nd class reclining seats, 4 2nd class sections, 1 1st class Bangkok - Butterworth. Colors: Sections (couchettes) stainless, diner cream, other cars blue/cream. 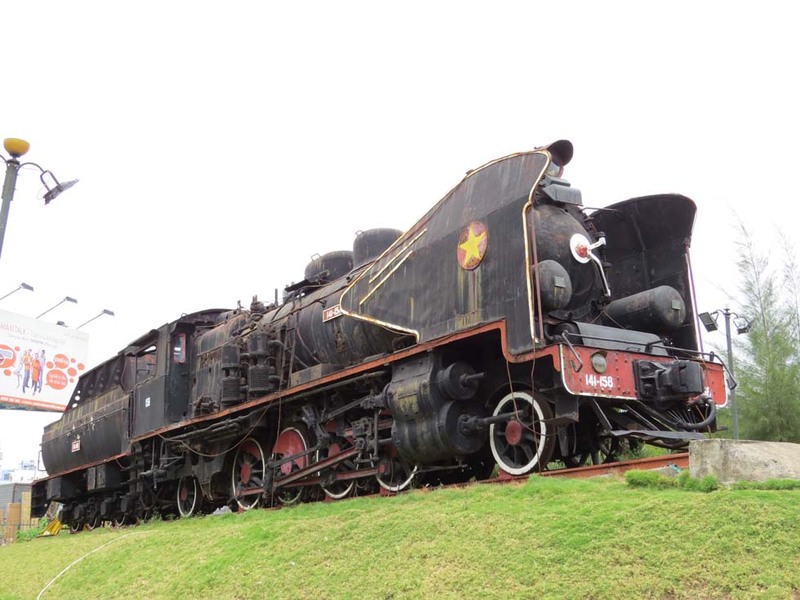 The de-Luxe special of James Sherwood was introduced in 1993 for inclusive tours from overseas, running regularly Singapore - Bangkok and then temporarily also to Kanchanaburi on the "River Kwai" and to Chiang Mai, labeled "Thai Explorer". 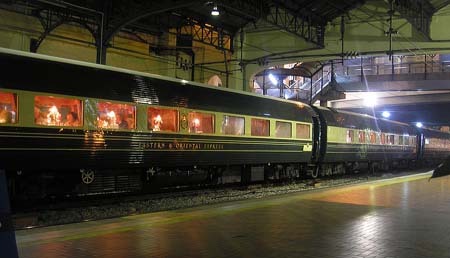 The cars are from New Zealand's Silver Star, now painted olive/cream, splendidly refurbished by architect Gerard Gallet and rebuilt by a workshop in Singapore, hauled in Malaysia by a silver-colored 24 class (CoCo diesel) and in Thailand by a maroon/orange 4100 class, later possibly a maroon/silver 4500 class. After insolvency of Sherwood's Sea Containers Group in 2006 the train, then owned by Orient Express Hotels Ltd., continued running Singapore - Bangkok, the fare (in 2011) being 2,290 euro one-way. At that time a TV report showed the first trip for the mostly European tourists to visit Vientiane, the capital of Laos. 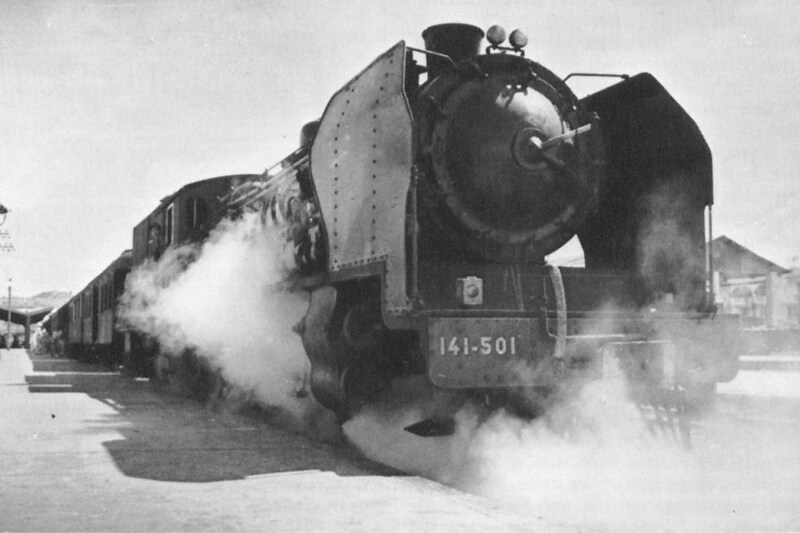 The 4500-class diesel engine had a hard work to haul the heavy train. The first private meter-gauge railway Saigon - My Tho, completed in 1885, connected with Mekong river shipping. In order to circumvent the cataracts near Khone, an island railway was built there in 1892, carrying boats. In 1902 Ha Noi was connected with Dong Dang on the Chinese border. The much more difficult Yunnan railway Haiphong - Kunming was completed in 1910. At Tourane (Da Nang), where the coastal steamers called, a local line emerged. 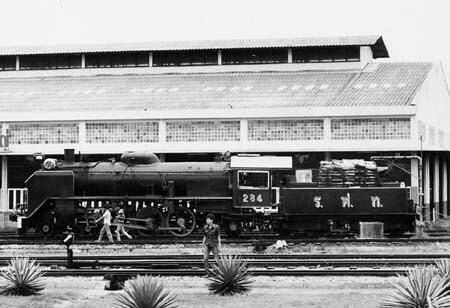 The Transindochinois Saigon - Hanoi started only in1936, including “voitures-couchettes”, a restaurant and coaches, hauled by French Pacifics or Mikados. In 1940 the Yunnan railway was demolished and in 1942 the war interrupted the whole meter gauge network for decades. 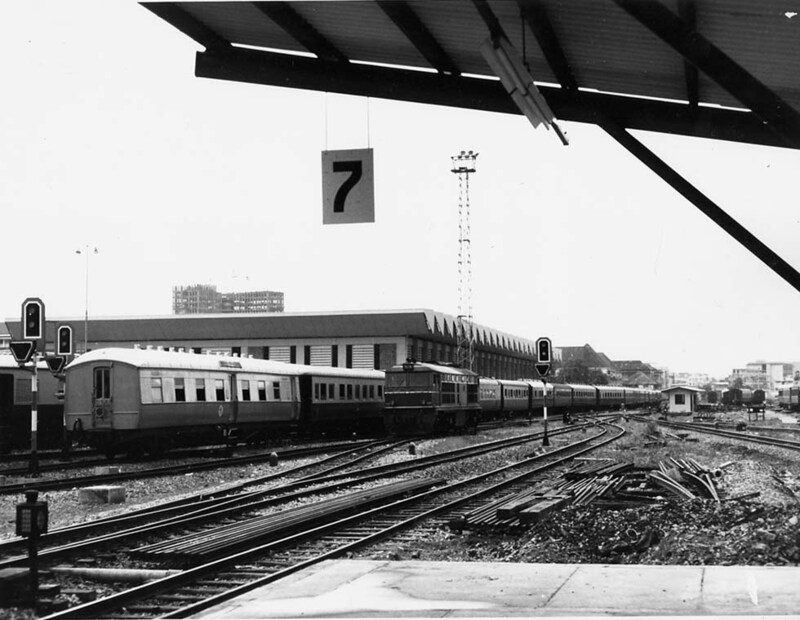 Vietnam could restart trains Sai Gon - Ha Noi not before 1976 (as there is the connection with China, see chapter Trans-Siberian, China, Far East). In 2010 the intention of building a high-speed railway Sai Gon – Ha Noi was published. 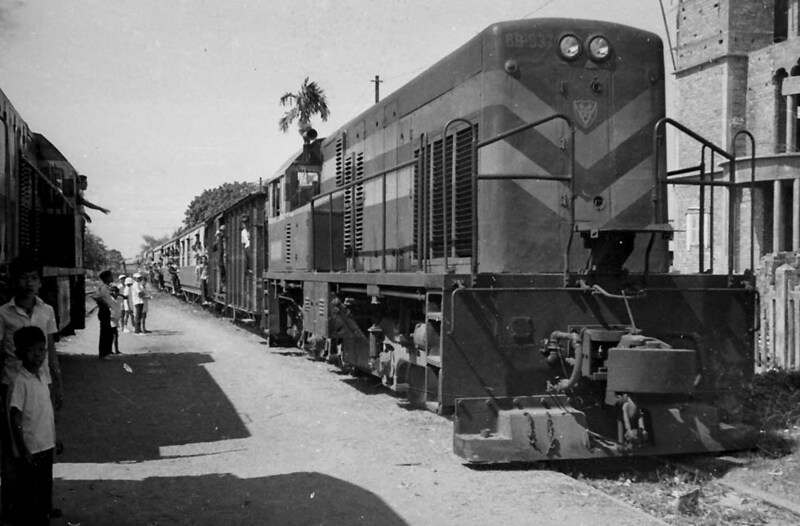 A railway from Phnom Penh reached Battambang in 1932. Passengers could walk across the border to Aranyaprathet in Thailand. 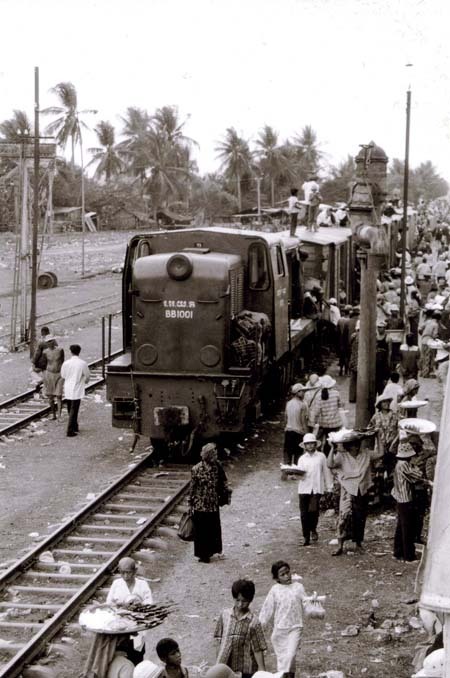 A train Bangkok - Aranyaprathet was extended to Battambang in 1941, on special request also to Phnom Penh, in 1946 confined to Aranyaprathet, in 1955 re-opened, then repeatedly interrupted by conflicts. 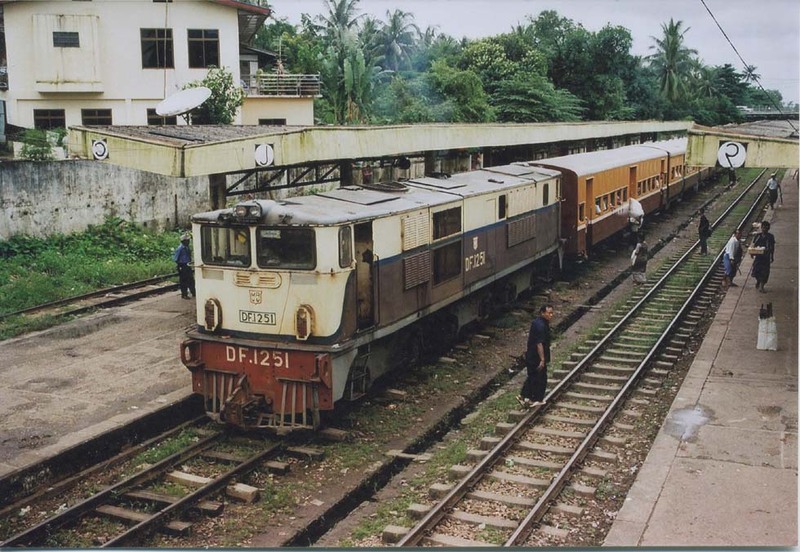 In the first years of the new century a train Battambang – Phnom Penh was the only service of Chemin de fer du Royaume du Cambodge, abandoned in 2009. 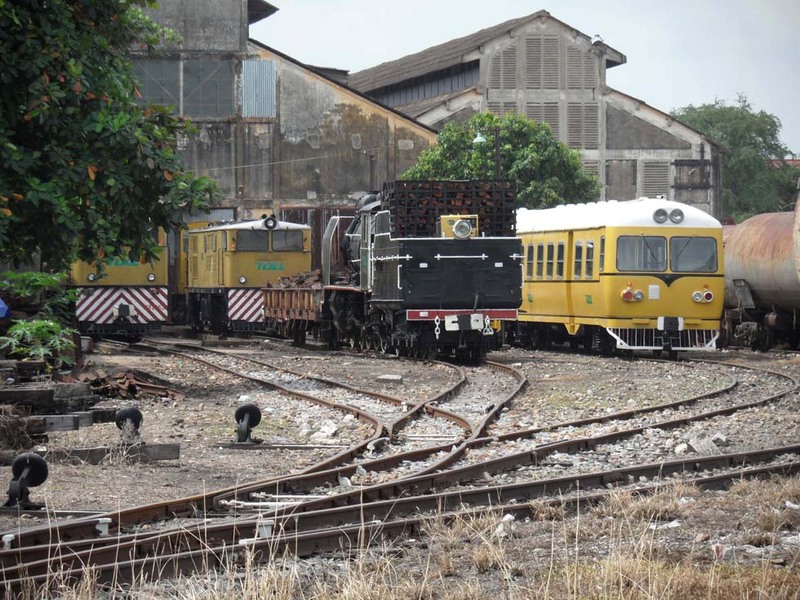 After privatization, rebuilding the meter-gauge to Sihanoukville was under construction in 2011 and a connection with Thailand was envisioned for 2012. 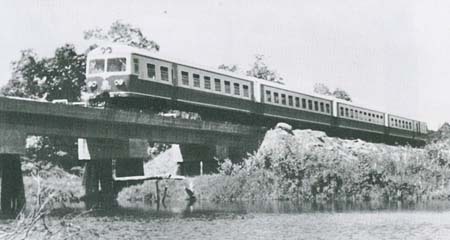 In 1955 the Thai meter gauge was extended to Nong Khai, where passengers could cross the Mekong river by boat to reach Vientiane, the capital of Laos. Later the Bridge of Friendship was opened. Laos had no rail network. The old project of a line from Vietnam to Nakhon Phanet and further on to Bangkok was not realized. After the first decade of the new century however, the Chinese visionary project of a standard-gauge high-speed line to South East Asia became expected to connect China with Vientiane, Bangkok and even Singapore. The Bangkok Post (March23, 2013) described the expected advantages for Thailand’s economy, resulting from the planned high-speed network, which in a second stage will extend from Bangkok “to Chiang Mai in the North, Nong Khai in the Northeast, Rayong and probably Trat in the East and Padang Besar in Songkhla in the South.” There it could connect with Malaysia. Thomas Cook Overseas Timetable 2008/9 has described the intentions of building the “long awaited ASEAN Railway network from Singapore harbour to the main cities in China. In a first phase the existing track from Singapore – Phnom Penh – Battambang – Sisiphon will be repaired. In a second phase the long destroyed track from Sisiphon – Poipet will be rebuilt. (…) In Thailand there will further connections planned from Vientiane (Laos) and from Yangon (Myanmar). (…) In Cambodia a completely new line of 255km will be built from Phnom Penh (…) to join the Vietnamese Railways network at Loc Ninh (…)”. For Saigon, officially Ho Chi Minh City or HCM, the new Long Thanh International Airport, announced for 2020, was reported (by Vietnamese media) to be connected with the planned high-speed rail system HCM City – Nha Trang and a railway Thu Tiem – Long Thanh.